This Week In Vexillology, we're still in the South Pacific and this week, we're looking at a flag that can never be altered thanks to the constitution of it's nation- yes, it's the flag of the Kingdom of Tonga! 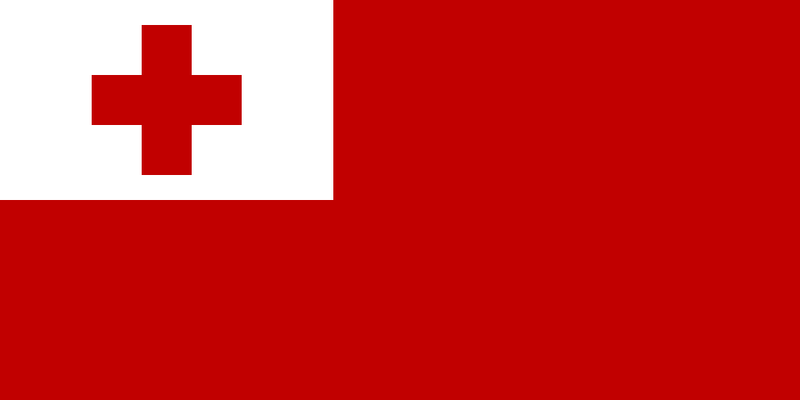 Adopted on November 4th, 1875 for national and civil usage, the flag of Tonga is heavy on religious symbolism. The red cross alludes to Christianity. Methodist missionaries arrived on the islands in the early 1800s and began converting the islanders to Christianity and in 1831, they succeeded in converting a Paramount Chief who would eventually become King George Tupou I in April 1845. Today, 97% of the population is Christian. The white in the flag symbolizes purity and the red evokes the sacrifice of the Blood of Christ shed during his crucifixion. So, if you're from Tonga and you don't like your flag all that much- guess what? You're sort of stuck with it. You know, I try and find out interesting things about these countries that I know next to nothing about and I'm sort of coming up short with Tonga. It seems pretty interesting but happily, perhaps since it was known as The Friendly Islands after the cordial reception Captain James Cook was given on his first visit 1773, there's been little strife or bad news throughout it's history. The monarchy seems to have exercised a lot of power up until very recently- but now it seems to be more of a Constitutional monarchy thanks a vigorous pro-democracy movement. So that's the flag of Tonga!